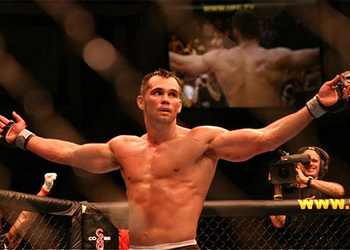 Former UFC champion Rich Franklin plays gatekeeper for no one, not even for the UFC. With his middleweight window closing smaller and smaller with every Anderson Silva knee to the grill, Franklin decided the latest chapter of his MMA career would take him down a familiar road. There really weren’t many options left for the former math teacher at this stage in his illustrious career. He was at a serious crossroads, but he knew exactly which path to take. It’s a division Franklin is familiar with as his first-ever Octagon appearance was at 205. Although he didn’t stay there long enough to make as much of an impact as he did in the middleweight class, he is definitely ready to give it a go now. If Franklin can sell the UFC on his logic, then an impressive W over Wandy at UFC 99 should have Franklin neck-and-neck with the other light heavyweight contenders.